Panasonic adds enhanced BBC iPlayer and other apps to Viera Connect | What Hi-Fi? Panasonic has further expanded its cloud-based internet TV service, Viera Connect, by adding four new services, including the latest version of BBC iPlayer. The upgraded iPlayer includes a new "visually rich" interface with 'favourites' functionality and a powerful new search engine. "Panasonic's Viera Connect is the first smart TV offering to have this version," the company claims. Also added to Viera Connect are Panasonic's first dedicated 3D app, WealthTV 3D – a high-definition lifestyle and emtertainment network – plus WealthTV 24/7 in HD and the Wall Street Journal Live app with on-demand video content from more than 2000 reporters around the world. 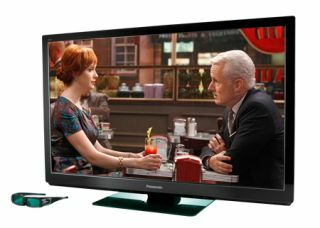 These new services are available now on Panasonic's 2011 line-up of Viera TVs.